I don’t think there’s any debate. Exquisite poetry defending the indefensible. This poem exposes not only the cruelty of Christianity, but its absurdity, its sanctification of misogyny, its glorification of servility, and its exaltation of ignorance. God the Father is malicious and cares only for his own ego. The Son is a bit of a cardboard cut out (which is okay I guess because he’s just a puppet of the Father). Adam is, well, as misogynist as his maker set him out to be. And Eve is a submissive, simpering slave (the one time she shows some independent thought, she brings God’s curses down on them all). Life before the “Fall” is pointless and stupid. Knowledge—its own intrinsic value and the value of seeking it are both denigrated by God, by the angels, and by Adam (of course the one who is desired to be most ignorant is Eve who is sent away or put to sleep whenever anything of import is discussed or related). The only character with any redeeming value whatsoever is Satan, a real tragic hero. We know from the start that his cause is futile and he’s bound to pay a dreadful price for his rebellion, but we can’t help but cheer him on as he fights tooth and claw for liberty and justice and against ignorance and subjugation. 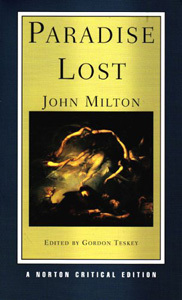 Not that I think Milton really intended that to be the case, but Satan is brilliant. Oh, and did I mention that the poetry is exquisite? This little novella looms large over the nineteenth century, so I was keen to experience it for myself. 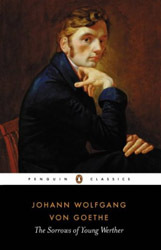 I knew in advance that young Werther ends his own life over a star-crossed love and that his action inspired real life copycat suicides. I also knew he was held up as a kind of Romantic (note the capped ‘R’) ideal, with Sensitivity and Passion and a love of Nature. I thought it was kind of interesting in a historical sort of way, but it was difficult for me to quite take it seriously—to be so in love as to decide that life is no longer worth living? It’s just so over the top. Is that because we just don’t feel that strongly anymore? Perhaps this kind of situation is like a kind of religious fervour. As if falling in love like this was expected so that’s what he did? But then Goethe himself shook it off and went on with his life, so it’s hard to say. Throughout, I just wanted Charlotte, Werther, and Albert to throw off restraint and go for a nice, accommodating, polyamourous relationship. Am I a twenty-first century girl or what? 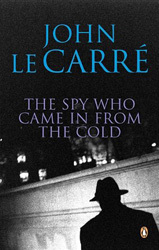 “In this classic, John le Carré’s third novel and the first to earn him international acclaim, he created a world unlike any previously experienced in suspense fiction. With unsurpassed knowledge culled from his years in British Intelligence, le Carré brings to light the shadowy dealings of international espionage in the tale of a British agent who longs to end his career but undertakes one final, bone-chilling assignment. On the face of it, one might suppose this novel is merely an outdated relic of a bygone era, a piece of genre fiction whose value at the time of publication might have been judged solely by how entertaining it was. However, this novel deserves its reputation as a classic of the twentieth century, offering much more insight than a typical spy story. It does have great spy novel elements too: plots and stratagems that take the reader by surprise, dark “action” scenes behind enemy lines, and a beautiful young love interest for the protagonist. But its strength as a novel lies in its exposition of the ubiquity of immorality in the fight no matter what the ultimate principles might be. In this particular instance, the fight is the Cold War, but it could just as easily be “the War on Terror” or what have you. They say that we on this side are fighting for good (i.e. human rights, anti-terrorism, freedom, democracy), and yet those very principles are being sacrificed with secret prisons, torture, and putting child soldiers on trial. Things haven’t changed much since this book was written, sadly. This novel was a bit of a mixed bag for me. I started reading it at a time when I was looking for something fairly light-hearted. The murder element didn’t deter me because from the description it didn’t appear that we would get too attached to Mr. Carson before his untimely demise. I was, however, quite surprised to find nearly the first third of the book to be depressing and distressing as characters we’ve come to care about dropped off like flies, and all for the simple want of food, shelter, and adequate medical care (which alas, is still with us today). After the dismal beginning, however, the story followed along the lines I had initially been expecting and I ended up enjoying it quite a bit. As a social commentary, I imagine it would have come across like gangbusters at the time, with an empathetic understanding of working class life and how intimate with utter poverty it really is. You wouldn’t find this in Jane Austen or, I think (I haven’t read ’em all) George Eliot. And though Dickens often covers the same territory, his mechanism is satire rather than strict realism. And then just for pleasure, we get a bit of a sensation novel in the last half, though it’s not as sensational as, say, a Wilkie Collins or R. D. Blackmore—Gaskell’s penchant for realism comes into play there too. A good novel for fans of nineteenth century literature (especially if you’re looking for something shorter than the typical Collins or Dickens). You are currently browsing the Reader of the Stack weblog archives for August, 2010.